art is poo | Art is an inside joke. 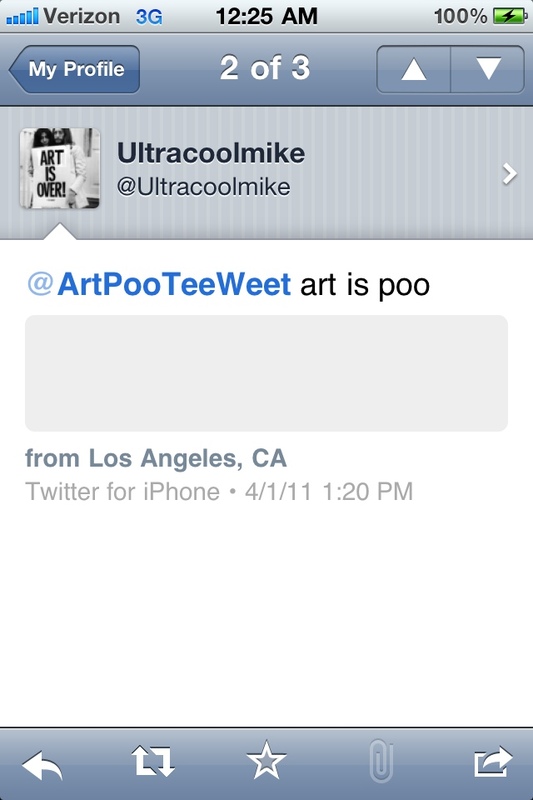 ART has received submissions from Los Angeles on April 1, 2011. ART doesn’t think that twitter is the new “street Himself” though.